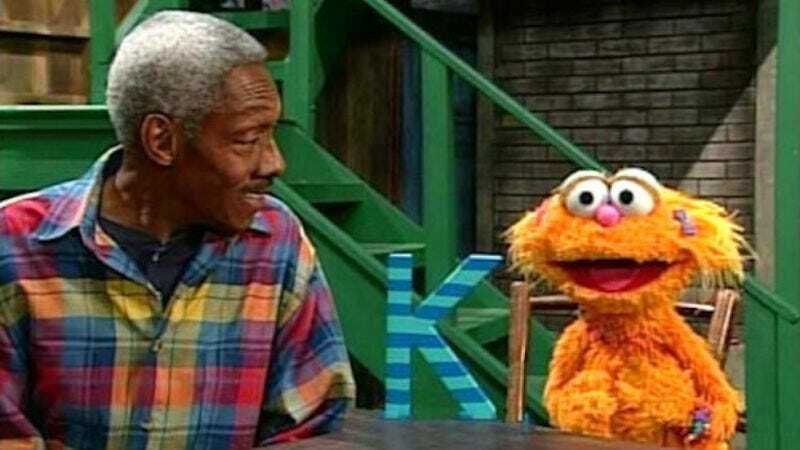 David Smyrl, the actor and singer who spent eight years playing kindly corner store proprietor Mr. Handford on Sesame Street, has died. He was 80. Originally a poet, Smyrl broke into TV work in the ’70s, first working as a writer on the ABC sitcom Benson. After earning a People’s Choice Award for his work on the Robert Guillaume-starring series, Smyrl next secured a gig as the warm-up comic for the massively successful The Cosby Show, on which he occasionally appeared as contractor and handyman Sam Lucas. In 1991, Smyrl took over the part of Mr. Handford, a retired firefighter who purchased Hooper’s Store from its previous owner, David, played by Leonard Jackson. As opposed to Jackson’s portrayal of the character as a gruff retiree, Smyrl invested Handford with a game, youthful energy, willingly playing along with the Street’s various childlike monsters and giant birds, and lending his vocal talents to a number of the show’s memorable educational songs.